Is it actually in the Narendra system or just named after it? Ok, I guess I'm kind of lost on this. How exactly, does one get into the living campaign? Is it something that has not been put up for pre-order yet? Go here a wee bit diwn the page and pick a ship. You'll need a hamemaster and some players. Only the GM really needs to sign up. Ahh, ok. Thank you @SteveHanson. Leave it to me to over-complicate things! When are we going to get a shot at the Living Campaign book? I don't recall seeing it in the stuff announced. The Living Campaign book will be out next year. So those who playtest the game will have The Living Campaign book ntill next year? Thats when it will be ready. 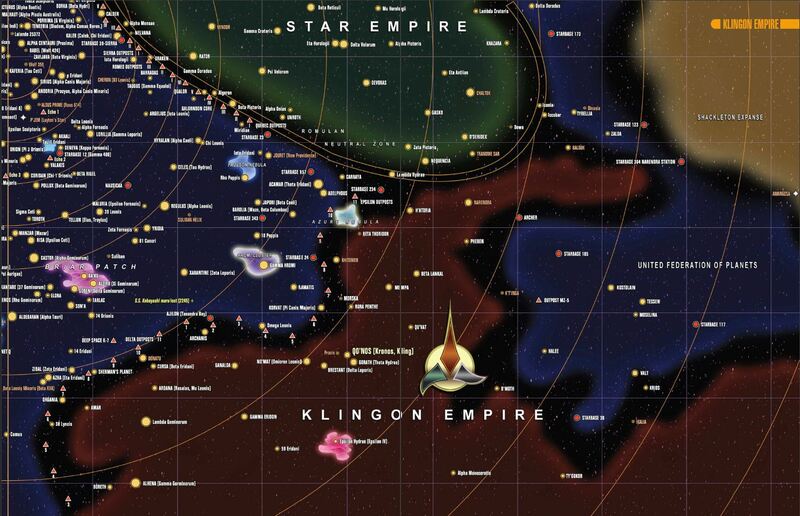 Looking at the map from Star Charts, and going by What is Specifically stated in the Living Campaign book about the starbase. It is on the back flap map in the CRB. Also on the poster map that comes with the GM Screen. SB364 (Narendra Station) is on the map provided with the Limited Edition rules, GM screen, the Borg Cube, and last I knew, purchasable from Modiphius. 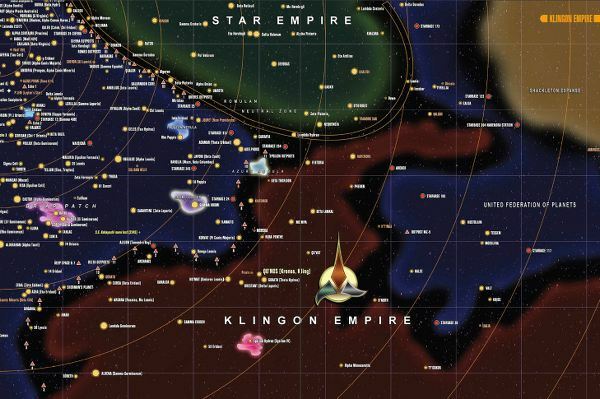 There are two other Starbases near The Expanse, SB 123, (slightly coreward of Narendra) and SB 173 which is much closer to the spinward enge of the Romulan border/neutral zone. What is NOT on that map is a legend explaining what the various notations and marks are. The map with Narendra is also on the back flap of most of the books, I would say all but I think one has blank back flap, but I do not recall for certain. I know it's not much help for those without them, but there's a key in the Stellar Cartography books they were derived from. Maybe Modiphius should see if they can get the rights to that page? Otherwise, there's a site derived from the original book at www.startrekmap.com - the downloadable PDFs include a key (bottom right), although they appear to have changed a little. IIRC, the big difference is the colour, which is yellow for the main local government and orange for an independent on this map - I believe the outline circle indicates a habitable world (2 or 3 if broken up). Star size is indicated by the size of the circle. Triangles (always orange) are stations or other facilities. Other items should be obvious from context. I did note that we are getting a bunch of new reference books this year, amongst them is a new Stellar Cartography collection of maps. I'd be interest to see what these show. EDIT* Looking at it again it seems that it may be a re-print of This one with new box art. A shame but good for those that do not have the original.